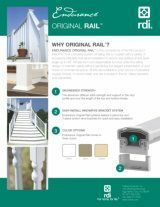 Endurance Original Rail is the cornerstone of the RDI product line. 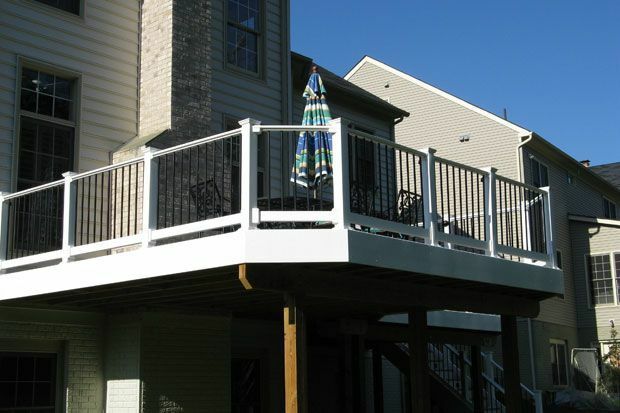 The most complete system of railing kits is coupled with a variety of accessory brackets that allow installation to almost any surface at any level angle up to 45˚. 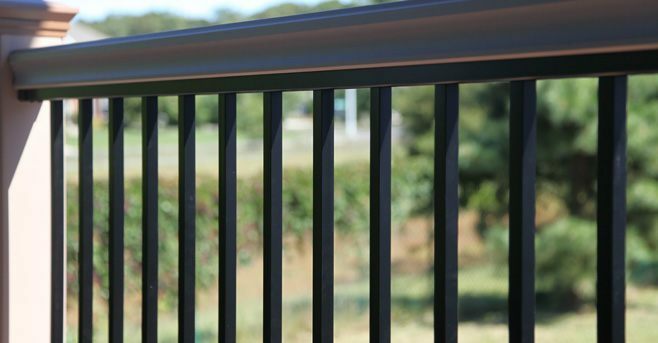 Simple form and dependable function unite this railing design to maintain safety without sacrificing the elegant presentation of your home or commercial space. 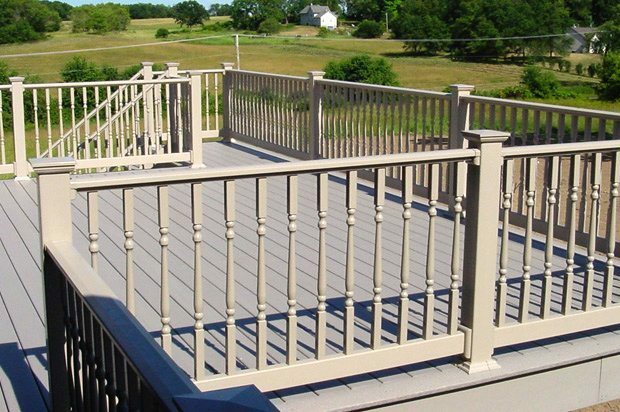 All kits are available in your choice of balusters: square, turned, or round metal, and are included in the kit. 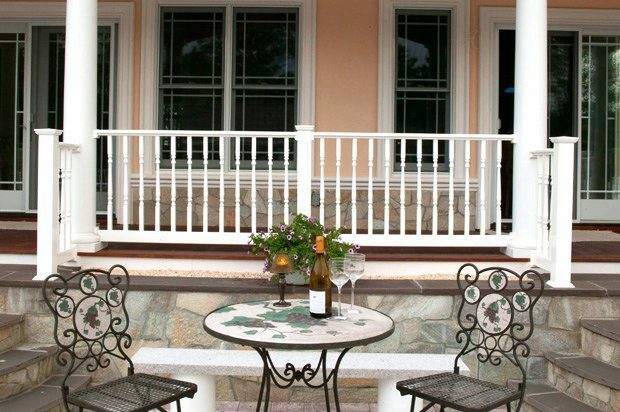 Glass balusters sold separately. 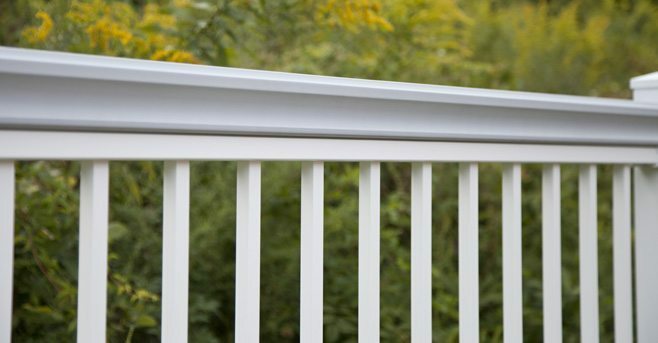 The newest edition to the RDI MetalWorks® family, brings you many of the features you’ve loved about our other products with a new attitude. 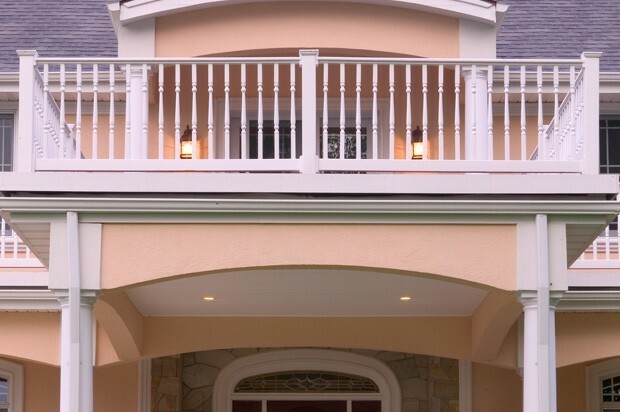 Unique style options combine form, function and versatility to add a rich, stylish look to your home while adding safety and security at the same time. 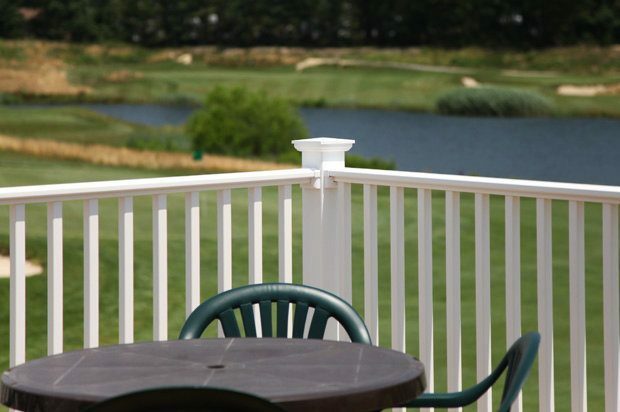 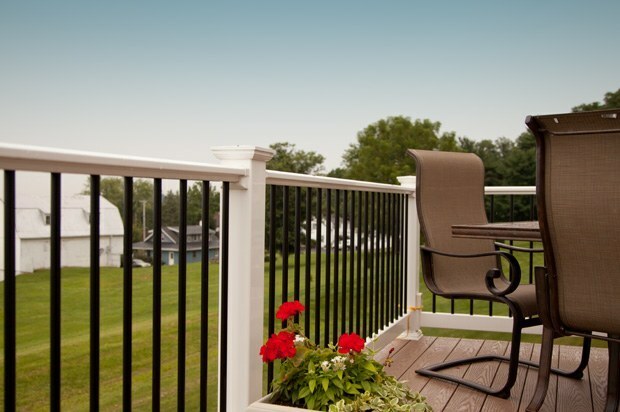 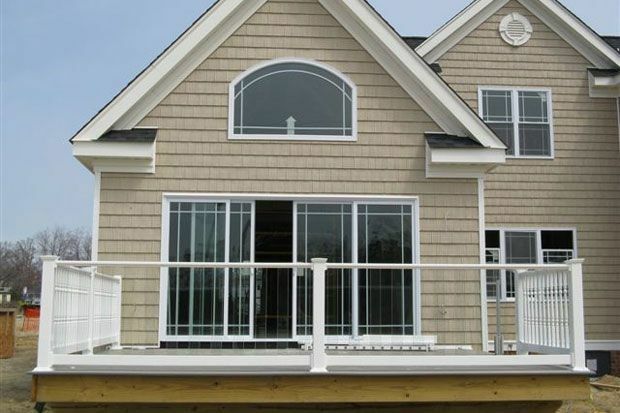 Avalon Aluminum Rail comes as a pre-assembled railing panel in one convenient package (just choose a top rail). 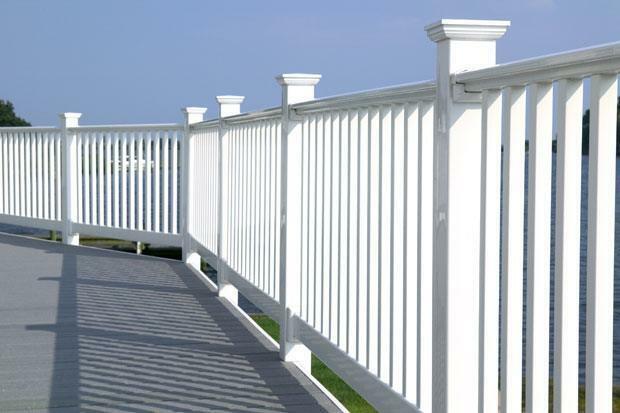 Avalon is extremely strong and durable and will not easily bend, break, twist, rust or snap. 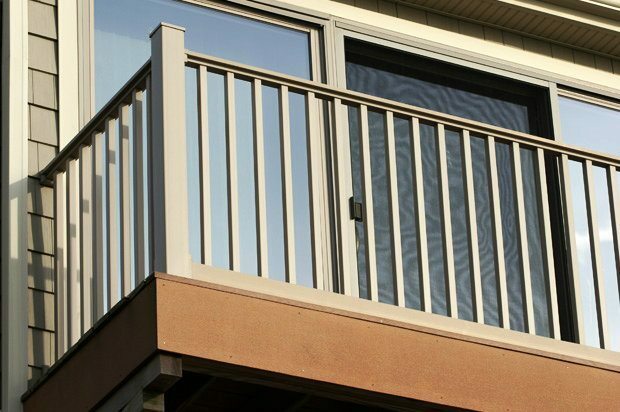 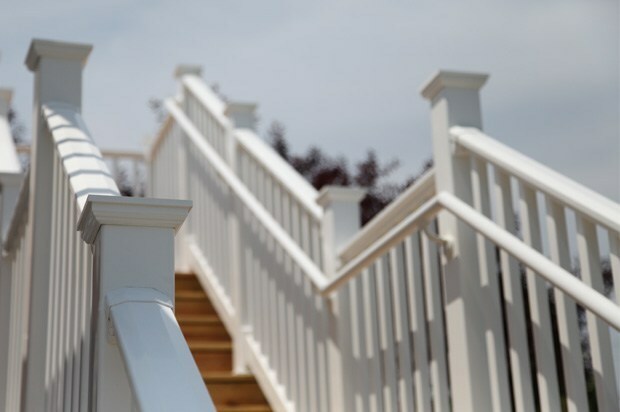 Our innovative Securatec™ locking strips are pre-installed into the top and bottom rails ensuring that balusters remain secure, rattle-free, and locked into place while eliminating the need for spacers and screws that may become loose or rust over time. 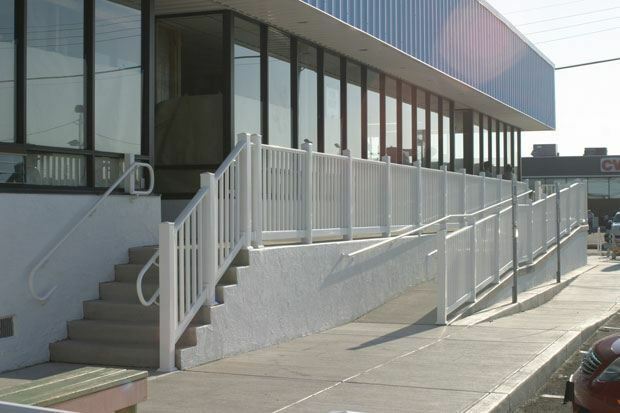 Gorgeous, low maintenance, and durable, Avalon Aluminum Railing meets ASTM standards, is AAMA certified, and exceeds most commercial and residential building codes. 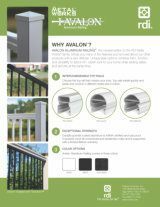 Avalon Aluminum Railing is available in 3 colors, (White, Black, and Satin Black), square balusters, 3 top rail styles, and in 42″ commercial and 36″ residential heights. 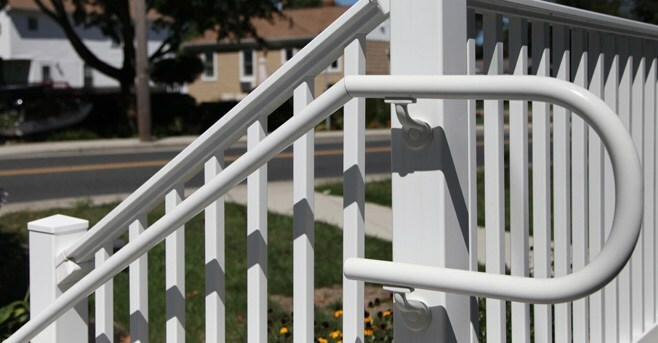 VINYL HAND RAIL™ is a highly acclaimed railing product that provides added safety to any stair or ramp. 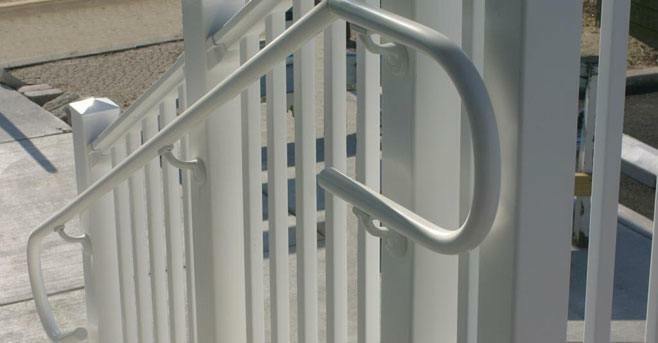 The key to our vinyl handrails success is the fully adjustable internal joiner, which can accommodate any angle from 0 to 90° for complete code compliance of any installation of ADA secondary handrails for stairs. 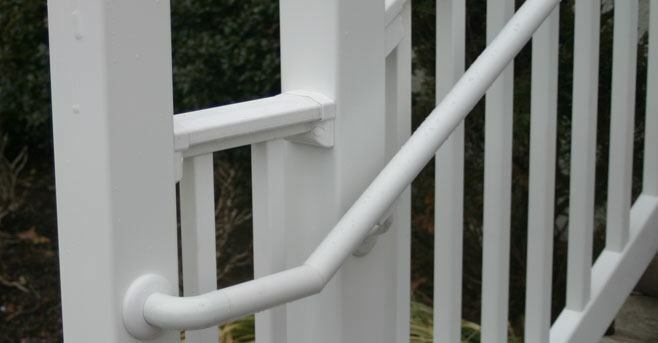 The simplicity of installing our vinyl handrail compared to pre-bent fittings is unparalleled, and this system can be mounted to wood, vinyl, masonry or metal. 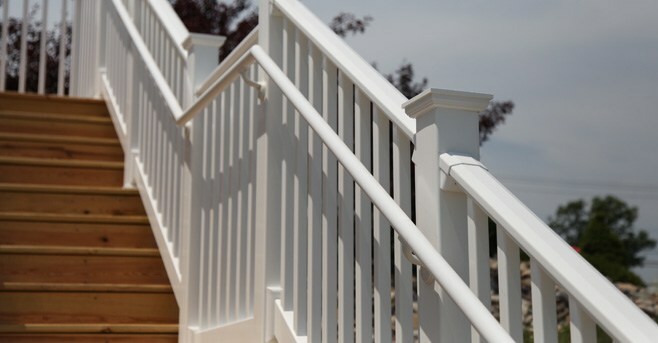 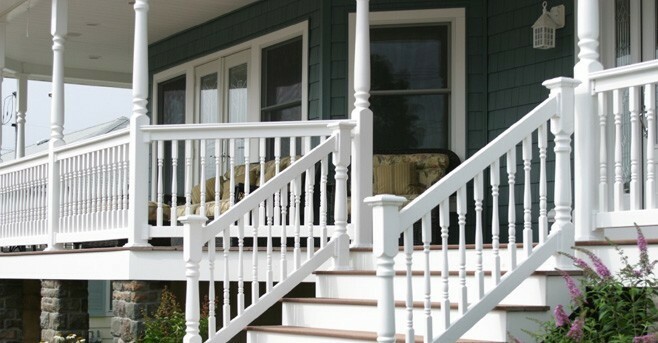 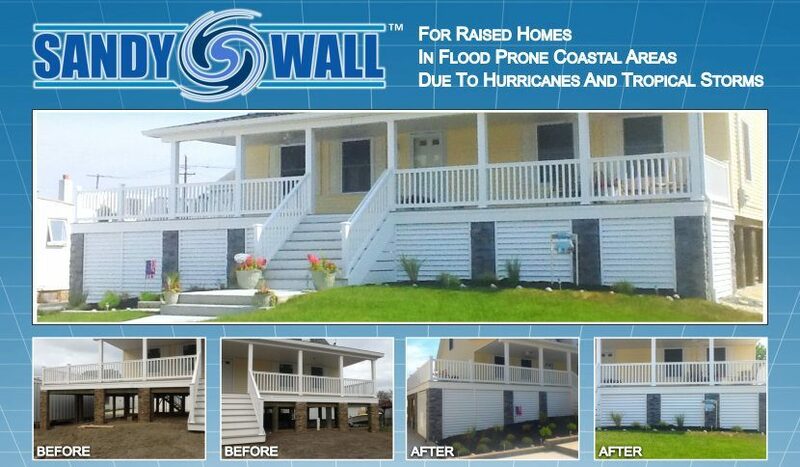 VINYL HAND RAIL™ products are the best handrails for stairs available anywhere. 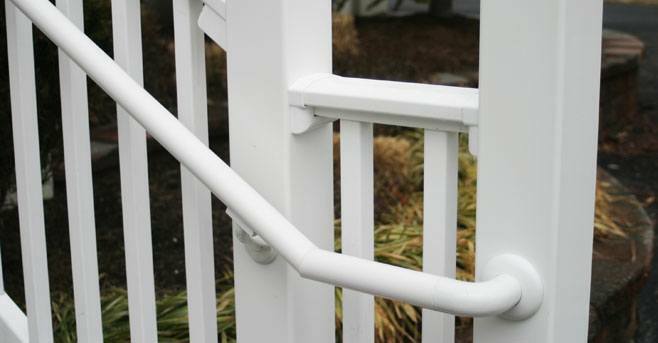 * Vinyl Hand Rail™ is available in white, black, earth, and sahara. 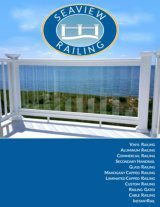 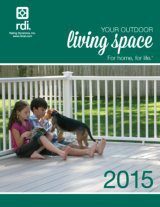 RDI is excited to bring you their newest graspable hand rail line – RDI Aluminum Hand Rail. 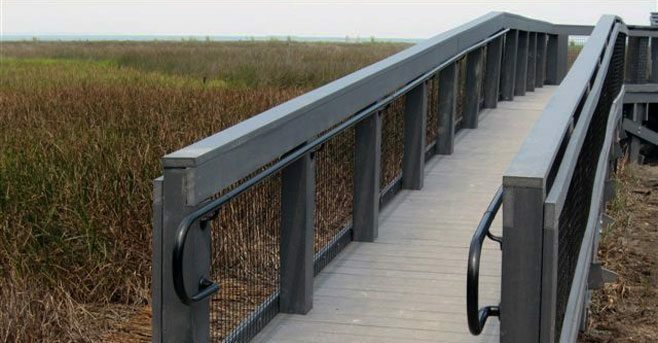 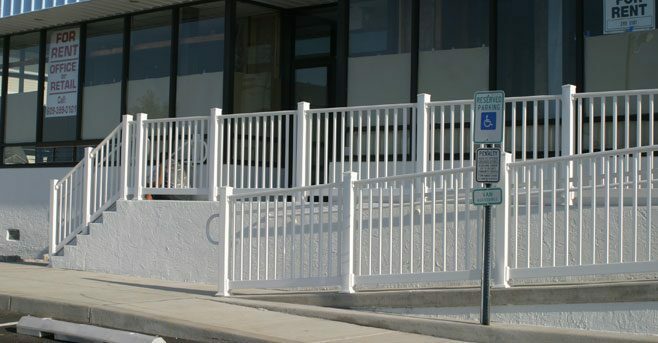 RDI Aluminum Hand Rail offers a graspable railing in a material and color palette that coordinates with our RDI Metal Works railing systems and is compatible with all RDI railing systems. 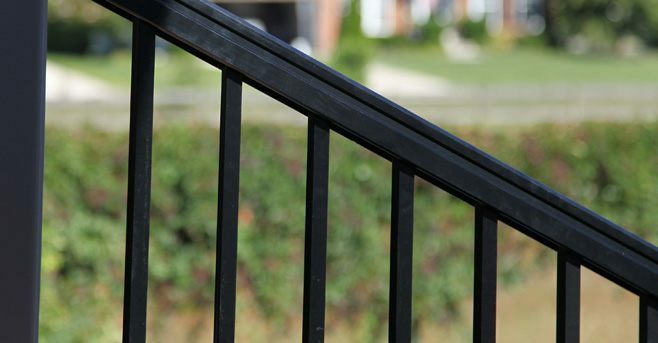 Strong, metal-to-metal connections ensure dependable safety and security for any stair or ramp and code compliancy. 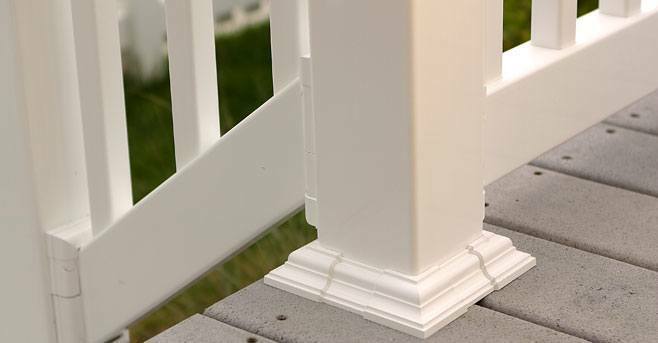 Components can be easily cut to size with a basic chop saw and there are no special tools or special skills required. 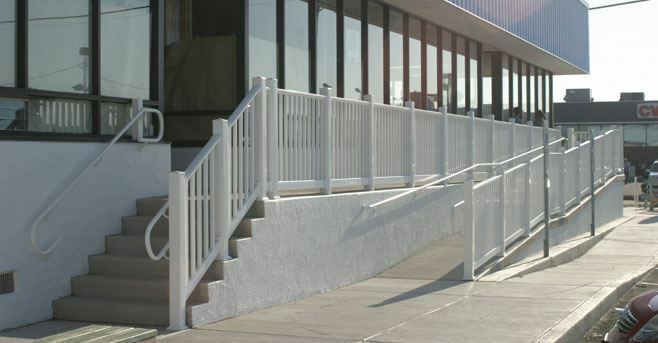 RDI’s Aluminum Hand Rail system includes a complete line of components including ADA compliant aluminum lineals, accessories, and internal joiners that ensure strong joints at bends in any direction (accommodating angles up to 90 degrees). 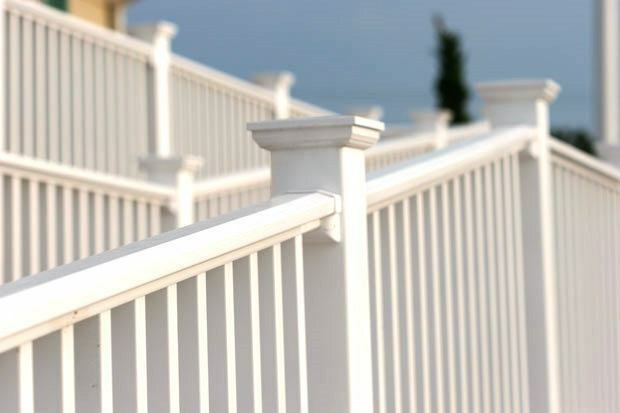 Lineals are available in 80″, 104″, 120″ lengths, and all components are offered in four durable, powder coated finishes: White, Black, Satin Black, and hammered Bronze. 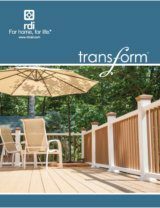 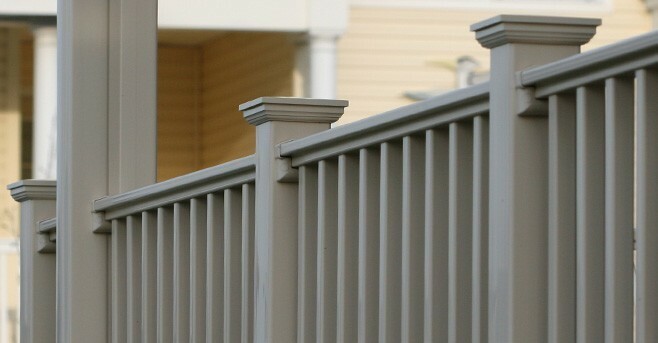 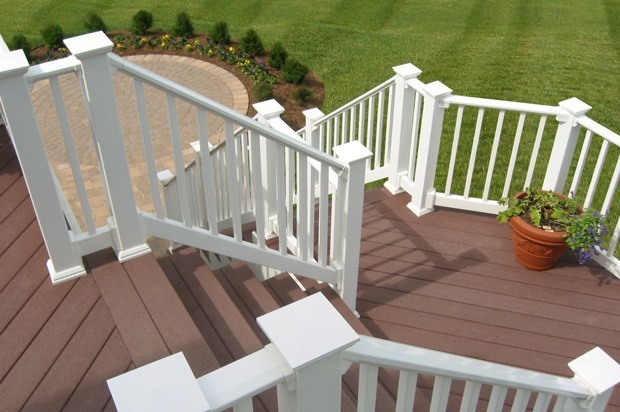 CROSSOVER PRODUCT™ includes Post Sleeves and Wraps, Structural Posts, Porch & Newel Posts, Lighted Accessories, Gates, Post Caps and Trim Rings, all of which are compatible with Endurance Original Rail, Titan Pro Rail, and RDI Metal Works* systems and are made from low-maintenance vinyl. 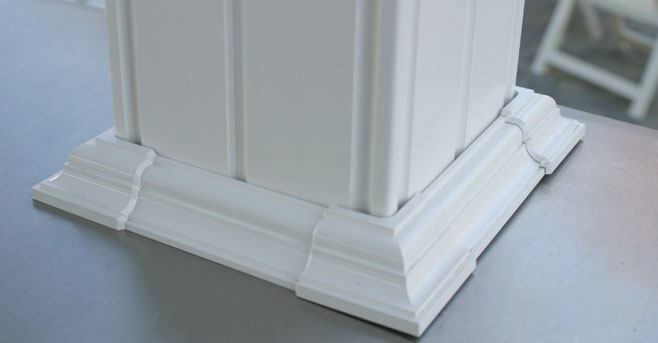 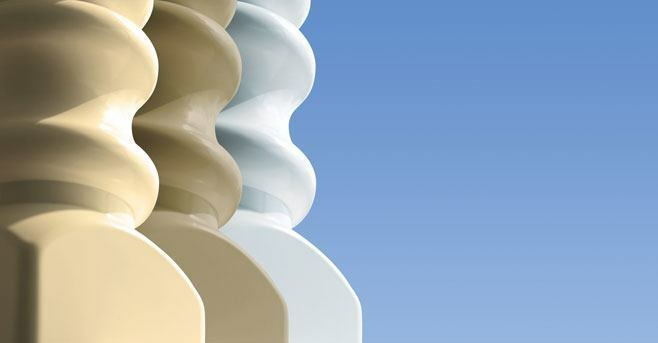 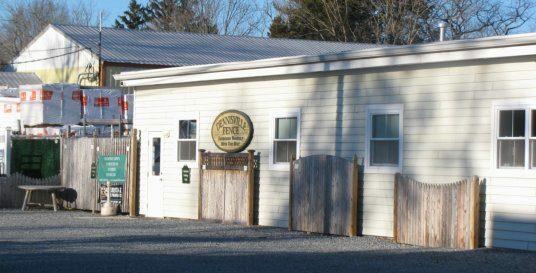 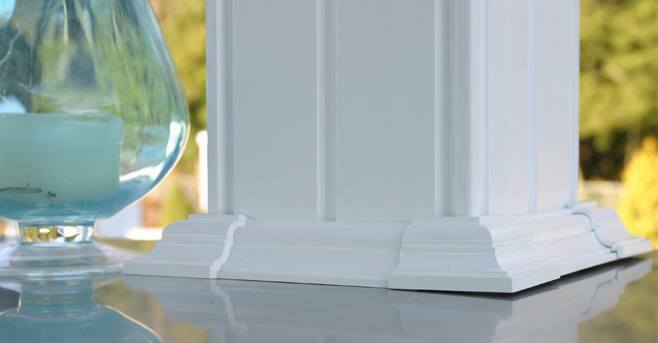 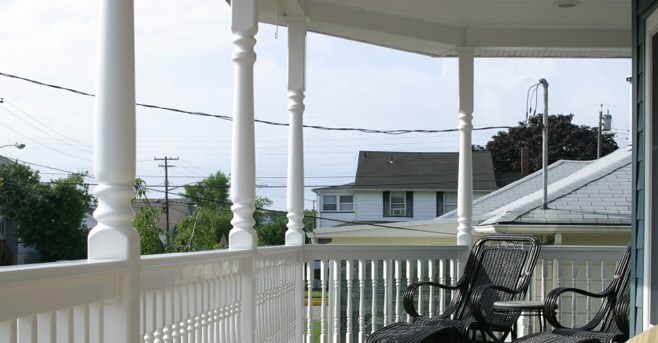 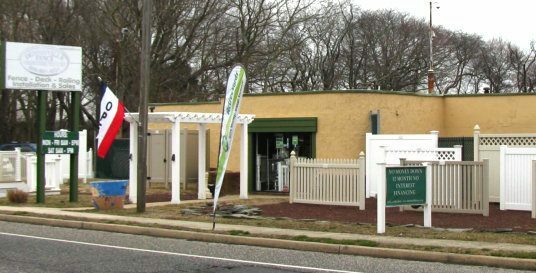 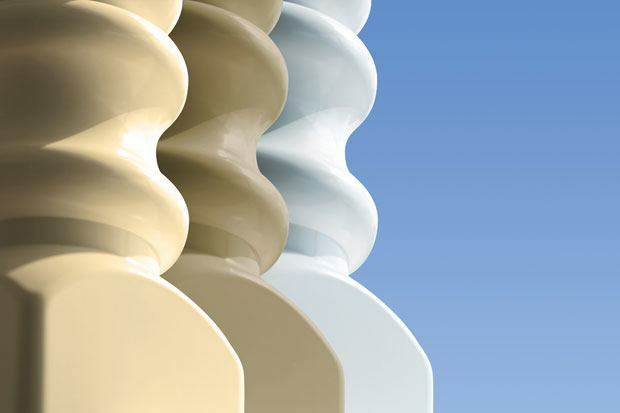 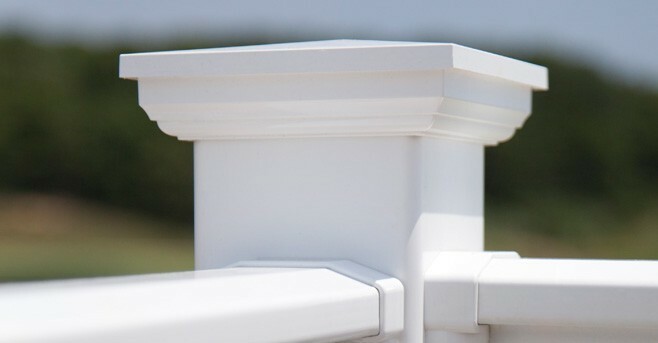 Decorative post caps and trim rings provide a finished look to your installation. 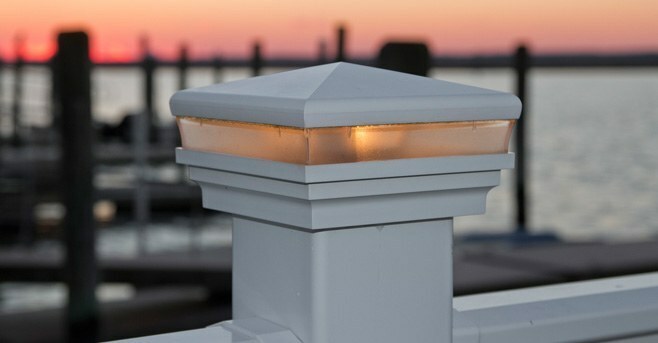 Lighted accessories give you the option of either solar or low voltage lighted caps to add a bit of ambiance to your deck. 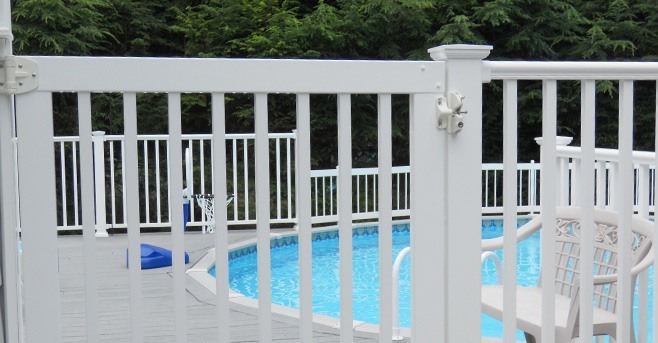 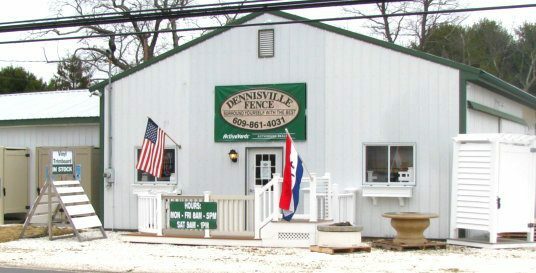 Our complete line of gate kits will complement any project. 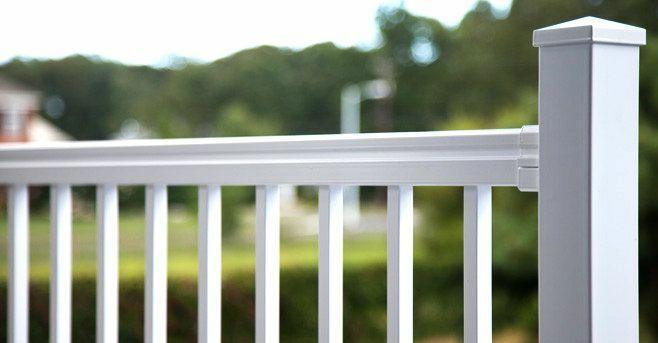 *RDI Metal Works Excalibur and Avalon posts include post caps and trim rings and are not compatible with the Crossover Product caps and trim rings.